The restaurant menu has their own themes or concepts to captivate guests while also giving them a sumptuous and enjoyable dining experience. They don’t only offer the best-tasting food but also showcase originality in the exterior and interior designs as well as the other entertainment being provided by these restaurants. It is a great marketing tool to attract new customers and beat out direct competitors. The restaurant’s concept is also reflected in its menu design. After customers walk in and enjoy the restaurant’s ambiance, their focus now shifts to food. But before they get to eat, they have to check the menu to see what is available. So a restaurant owner should make sure that the menu of his establishment is of top quality. A badly written and designed menu does not fit well with a Michelin-starred restaurant, for instance. 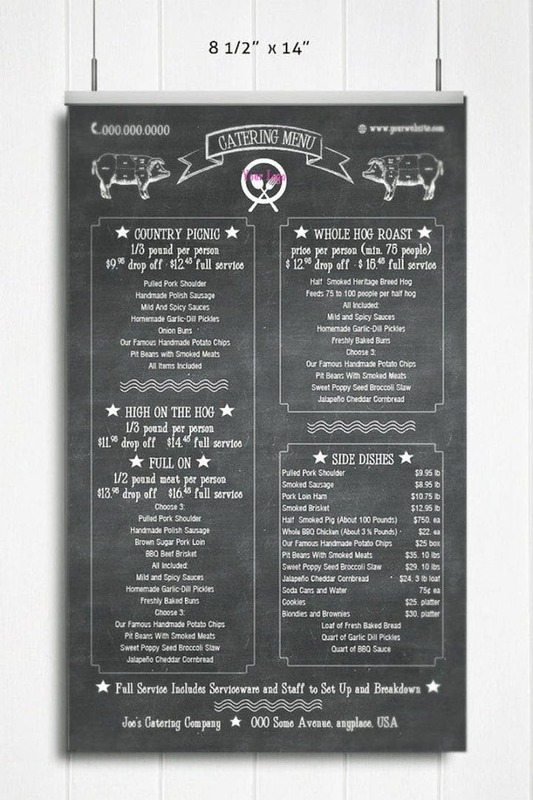 To add a little bit of color and creativity in your menus to keep those customers coming, here are the best BBQ restaurant menu templates and other examples which cover every restaurant theme or concept. Here are also some menu design hacks to convince your customers that they should order more even when they’re already full. This menu template offers some nice food photography as the background. The photo of a pasta dish has a blurred effect to make way for the restaurant’s logo which is front and center in the menu design. Quality photos of other dishes are also placed on the other pages of the menu. This printable menu template lacks some photos but compensates for it with an elegant black crisscross design. The black design makes the restaurant’s logo the main attraction, letting the customer focus on the logo design. The menu items are not written on the black backdrop but are written on a white backdrop instead to create a contrast with the black cover design. This daily menu template has another black-and-white inspired concept but photos of the dishes are now added for a more visual touch. 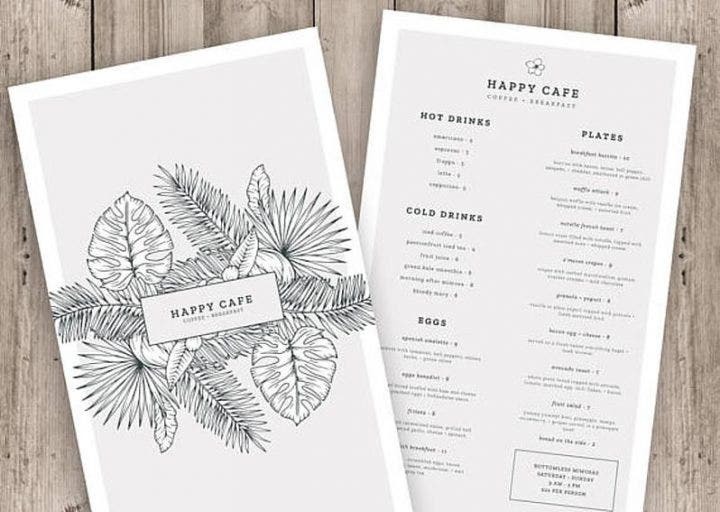 This menu template has a retro look with its black-and-white design and is perfect for both casual and fine dining, beautiful restaurants. If this menu template doesn’t make you hungry, then nothing probably will. The key to making abstract sketch designs realistic is to emphasize on detail, which this template successfully manages to do. The hamburger is presented with all its glory as the patty, tomatoes, lettuce, and buns are sketched beautifully. Also, sketches of a pizza, hotdog, doughnut, ice cream, shake, and even a knife are also shown to add to the menu’s design. 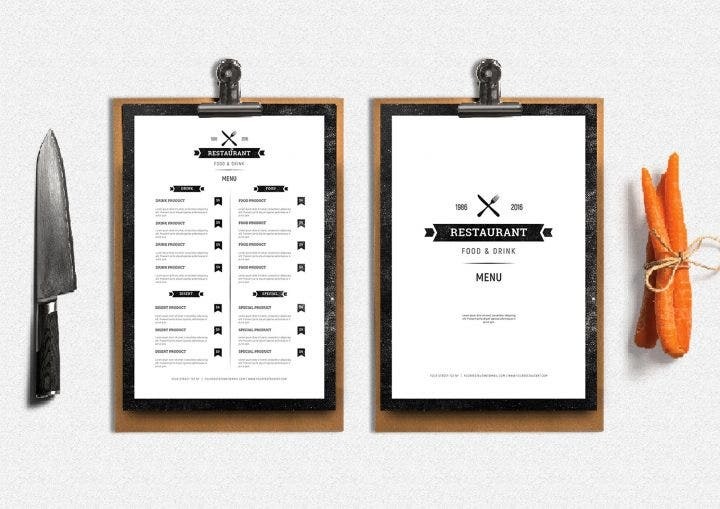 This restaurant menu template takes on the classic menu look (white background and black text). What keeps this template from being ignored is the calligraphy font used in the text which compensates for the template’s lack of flashy design elements. 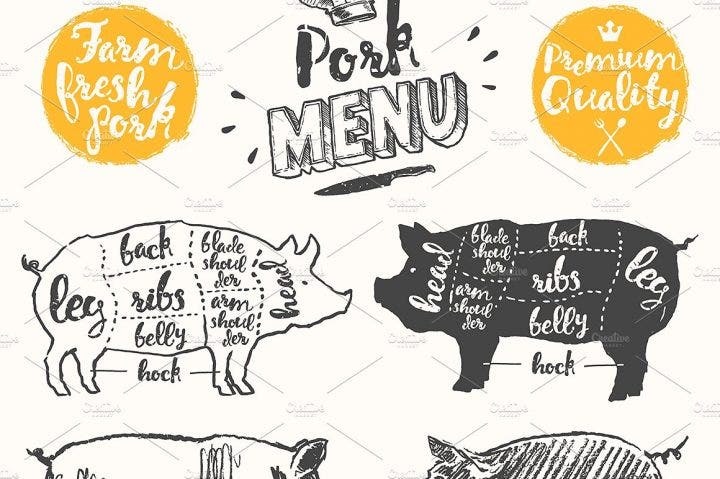 This unique menu template uses an actual pig which is cut and divided into its edible parts. Customers can pick out which part they want and how it should be cooked. The belly and the ribs are the obvious favorites, but some of the best dishes in the world can be cooked with the head and legs as well. Chalkboard designs are very popular designs which are used in just about any event or occasion these days. Ride the wave and use this chalkboard menu template in your restaurant. The background contains chalk erasures and the font style used also resembles chalk. This is another sketched menu template. The design centers on leaves and is placed in the center of the menu cover together with the restaurant or bar logo. This is another simple menu template which relies on the central image and calligraphy as its main designs. As mentioned earlier, the restaurant’s concept is also reflected in its menu. The menu’s design should be in sync with the restaurant’s theme to give customers the best restaurant experience. It’s not only the restaurant’s design that arouses the curiosity of customers. 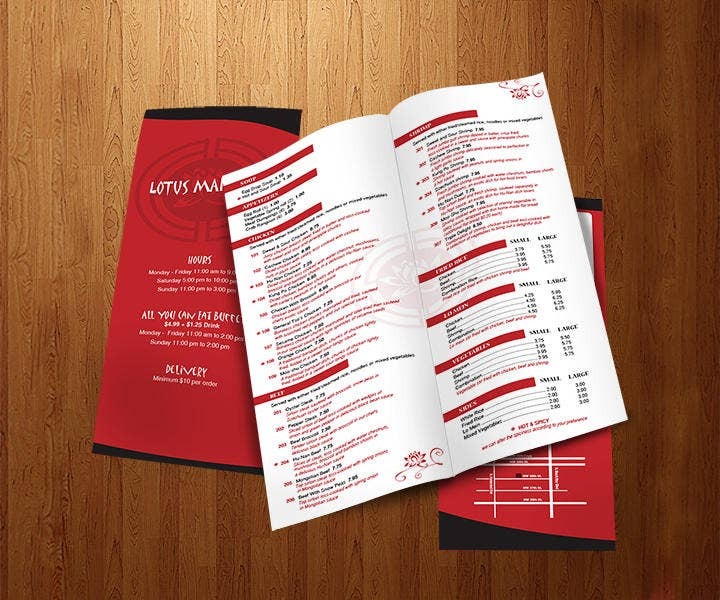 Well-executed and meticulously designed menus also boost the marketing aspects of the restaurant. As in every business, marketing should be a top priority and restaurants are no different, especially if they are newly established and haven’t yet found a loyal customer base. The menu designs should be integrated into the marketing plan to assist in the restaurant’s ongoing promotion in all sorts of media. It can also assist in possible investments for the restaurant. 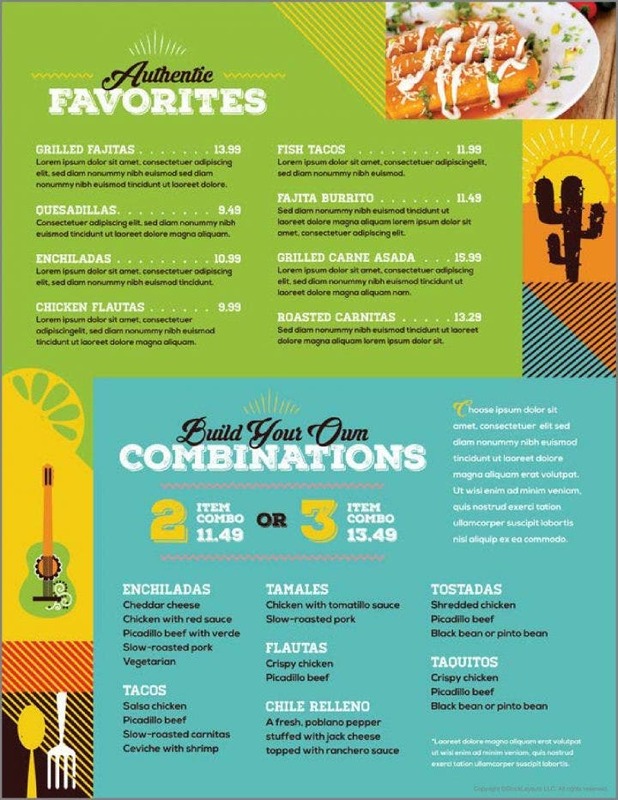 For example, image files of the menu designs can be posted on social media or they can be printed on smaller-sized paper to be distributed as flyers. Great importance is placed on a branding template nowadays as it boosts not only the performance of a company but also a single person’s portfolio design. Through technology, branding is made easier and has become very accessible. All it needs is a simple search and click, then individual and company portfolios can be easily accessed. The same goes for restaurants, too, as their menu designs can be an effective restaurant and cafe branding if used correctly. Aside from word of mouth, potential customers usually do some searching before actually going to a restaurant. Through a website, blog, or logistic social media cover page, restaurants can resort to branding and advertise their own menu card. The complete menu list together with some food photography and descriptions on how each dish was made increases the brand’s identity and exposure throughout the Internet. Through branding, restaurants have the potential to extend their reach to markets well beyond their immediate community. Branding also aids in the attraction of tourists both locally and abroad which can definitely boost the money-making potential of the restaurant. The typical restaurant allows around 15 to 20 minutes for the food to be cooked and served to the customer. For peak hours and holidays where restaurants pack a full house, it can take about an hour for customers to wait before they get to eat. Chatting with family members, texting, playing games on a smartphone or tablet, walking outside and around the restaurant, and sleeping are all good options to bide time when waiting for a meal. But it gets tedious eventually. Change that scenario and make the menus a visual treat and interactive experience. Some restaurants, for example, provide paper place mats and crayons to keep their customers busy. To add more variety, use the menus to entertain guests. High-quality photos of the dishes are the most common, but there are also other things that menus can be capable of. Some examples are having pop-up pages for the menus or having a certain number of pages or sections where the customer can write or sketch. Although using this concept poses a risk for the menu itself as it may cause some pages to be torn up, it also provides long-term benefits for the restaurant. Word of mouth still remains the most effective marketing tool and you certainly want to be that restaurant with the unique menu design that people talk about to their friends. Think of the menu as the mini-sized paper or plastic version of the restaurant. The restaurant’s design, specifically its architecture, signage, decorations, table, chairs, and utensils follow a uniform concept and this should be seen on the menu as well. Aside from the restaurant’s logo, the menu designs should also contain the restaurant’s color scheme and have some of the decorations incorporated in the menu. One example would be if the restaurant’s main attraction is its signed Michael Jordan jersey encased in a glass frame, then the menu has to have a photo of Jordan playing basketball or you can also insert a stock photo of a Jordan jersey similar to the framed item in the restaurant. Adding elements from your restaurant to the menu design will not only give focus on the food but also to the restaurant’s concept as well. 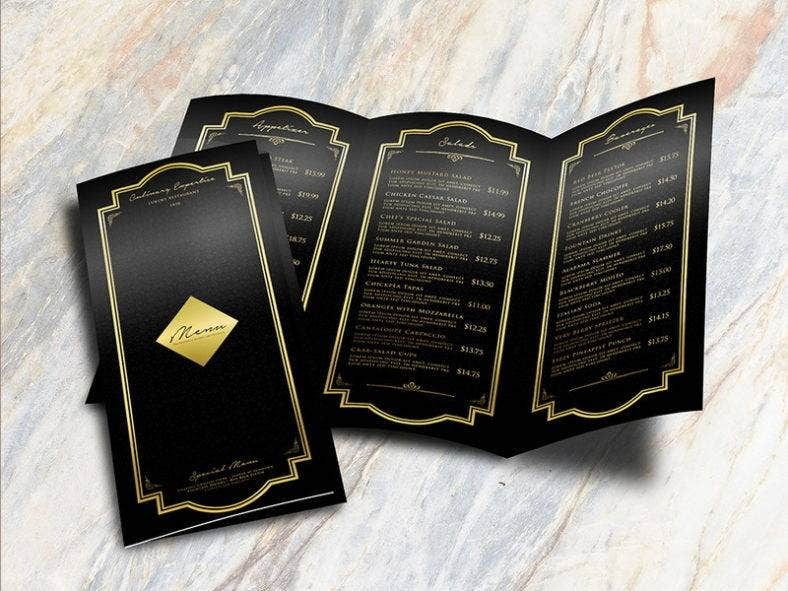 Having a beautiful menu design does not only go over well with customers but with potential investors as well. Investors can be in the form of local businessmen wanting to be part of the restaurant to increase its reach in different areas, or in the form of a notable and highly successful food group inviting you to be part of their company. Mouthwatering dishes are only half of the reason why investors take interest in your restaurant. Other factors such as its concept and long-term sustainability are also considered by investors. Therefore, menus should be in sync with how the entire restaurant works to attract customers and investors. As in every business, there should be continuous investment from external sources to keep the company running and adapting to unforeseen changes that are common in all industries. Maintaining a restaurant business can be problematic as businesses rely on top sellers and popular local dishes to generate profits. Not all top sellers can withstand the test of time like the Pizza Hut’s thick crust pizza, Burger King’s whopper, or KFC’s deep fried chicken. Competition is quick and can easily catch up to your business in a matter of weeks or months. Finding investors will help you gain some ground against competitors with the infusion of cash you can receive from them. Since menu designs reflect the restaurant’s design, it adds another layer to the restaurant’s overall aesthetic. A beautifully designed menu adds more color to the restaurant and attracts the attention of customers. Imagine the restaurant at noon time or in the evening where customers are simultaneously opening and reading menus. It is a sight to behold and can be used as a marketing image for the company. For example, have a red-and-blue colored menu and use it for your a red-and-blue colored restaurant. 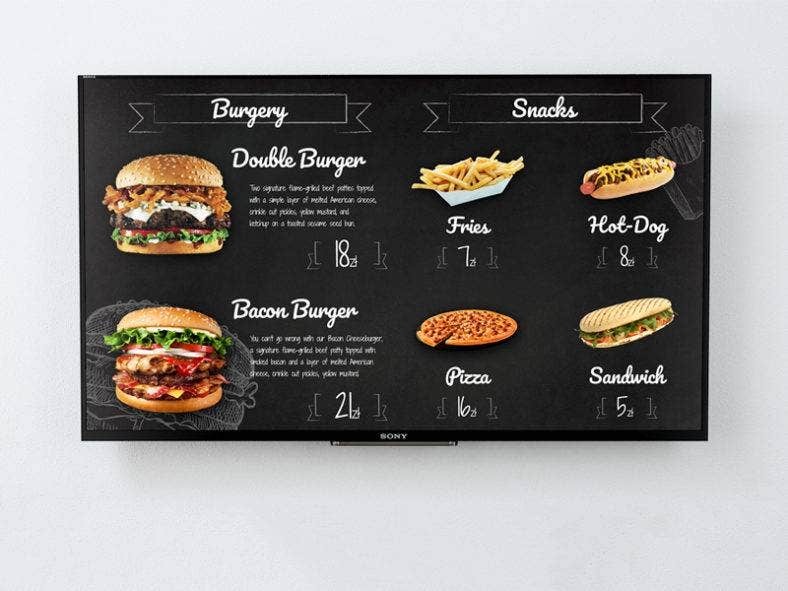 Furthermore, if menu designs are too elegant to be used by hundreds of hungry hands, they can be displayed and hung instead from the walls or the windows. Restaurants that have a combination of delicious food and superior interior concepts or themes always attract the wealthy, the popular, and the tourists. High-profile guests such as government officials, celebrities, and other notable professionals within the community will flock to restaurants which offer quality food and entertainment. Also, visiting local and foreign tourists would want to check out the restaurant as part of the itinerary. Menu designs are definitely part of the attraction. High-profile guests increase the marketability of the restaurant and also improve its financial performance. Local tourism will also be boosted as tourists will stop by and see the restaurant for themselves. A restaurant which is marked as a tourist spot and is recommended by blogs and tourists from around the world will boost both the performance of the restaurant as well as the local economy. Owners tend to have absolute control of the restaurant. They design the restaurant’s exterior and interior, purchase supplies, manage inventory, hire and train employees, and have the final say on what dishes are served to customers. They are ultimately responsible for how the restaurant performs. In addition to their tasks, they may also design the menu. They can always hire a third-party graphic artist to do the designs, but it is highly advisable for owners and the management team to have full creative control of every aspect in the restaurant. The last thing the owner needs is a conflict with the third-party designers on why the menu designs do not match the restaurant’s concept. This starts with the menu design as it is important that customers obtain a clear, readable, and visually attractive menu design. Designing menus requires considerable thinking prowess and is a task that cannot be accomplished in a few minutes. This requires the owners to actually sit down and let their creative juices flow to make attractive menu designs. The color combinations to add, the food images to incorporate, and the font styles to use are some aspects that owners would have to consider. This red checkered menu template is ideal for outdoor restaurants. Use this template if your specialty centers around grilled food and sandwiches. This is another chalkboard-inspired template that uses a variety of colors in its design. The usual black-and-white design is replaced with a more colorful and attractive design. This menu template has some nice food photos placed on a white background. The white-colored background complements the photos. Overall, it is an attractive minimalistic design. Mexico is always associated with color, and this Mexican-inspired menu template doesn’t steer away from using a multitude of colors. Photos of classic Mexican dishes are paired with different colors to create a festive fiesta theme in the template. Each restaurant has its own theme as well as its own style of cooking and preparation. If all restaurants were created the same way, then people would just stop eating out since they all sell the same dishes. 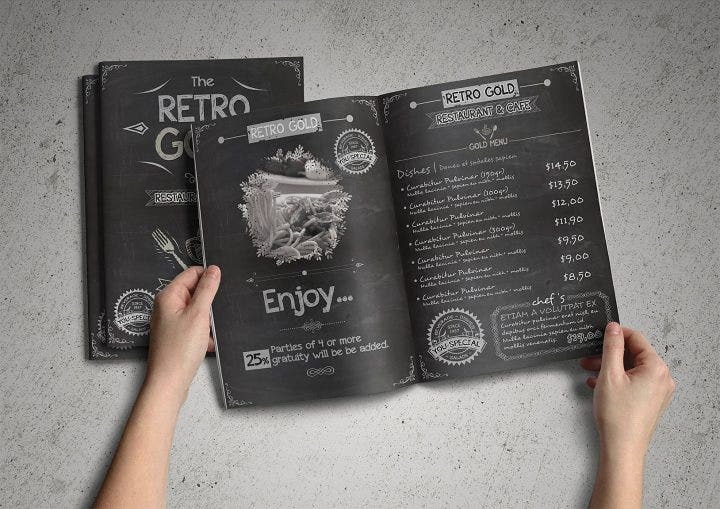 Despite their differences, menu designs remain an integral part in how restaurants operate. 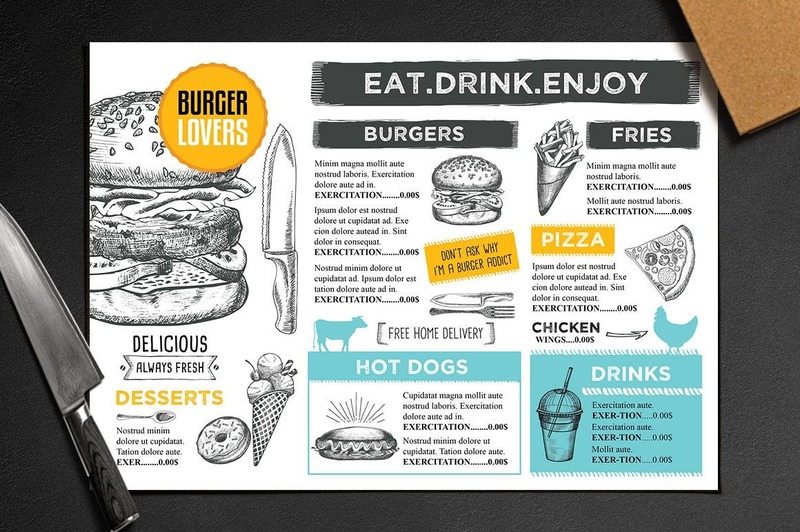 Although there is no universal set of rules on how menus should be made, they should at least offer some visual appeal to entice customers. Here are some tips on how to make restaurant menus either for the casual, moderately priced restaurant or the formal, fine dining restaurant. Use color combinations. 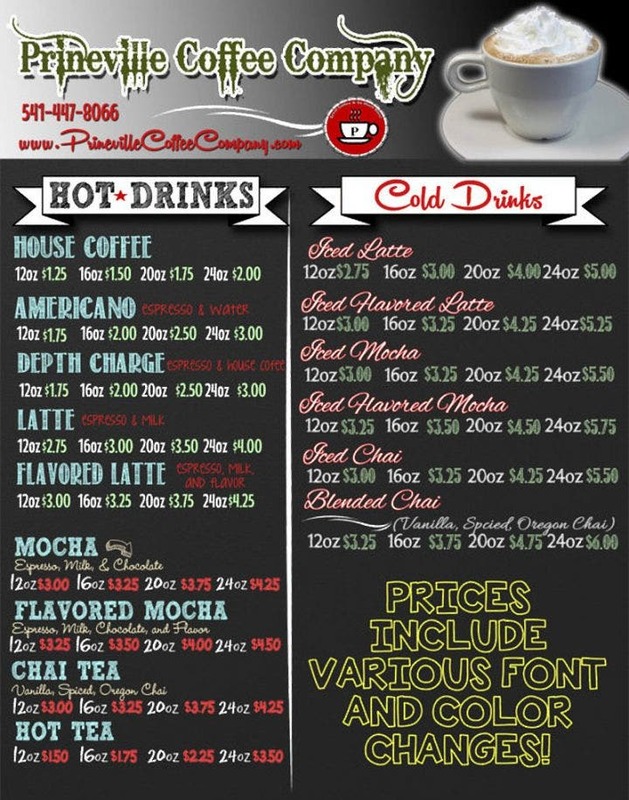 It is never a solution for restaurants to settle for menu designs with a white background and black text. The bland menu is a reflection of bland food and lazy service, which should never be associated with a restaurant. So add flair to the menu’s design by using some color combinations. Filling the menu with images is not necessary as colors already bring life to the menu. Take note: the menu design’s colors should match the restaurant’s concept. But adding a little bit of golden hue is always a good option as gold matches with every color. You can use it for the menu’s borders. Incorporate food photography. It doesn’t matter if you’re serving a simple fried tempura or a fancy oven-baked chicken with potatoes and rosemary. Whatever you’re serving in your restaurant, each dish should be given importance. And the best way to give importance to your signature dishes is to take their photos and add them to your menu. Scatter them around the cover page and the rest of the menu’s pages. The pictures won’t only make the mouths of the guest’s water, but they also serve as an effective marketing tool for your restaurant. Food photography is a great way to sell your food as long as the photos are taken with a quality camera. Even if customers are already full, if they see a high-resolution photo of a banana, chocolate, and strawberry sundae on the menu, then they might be enticed to order dessert as well. 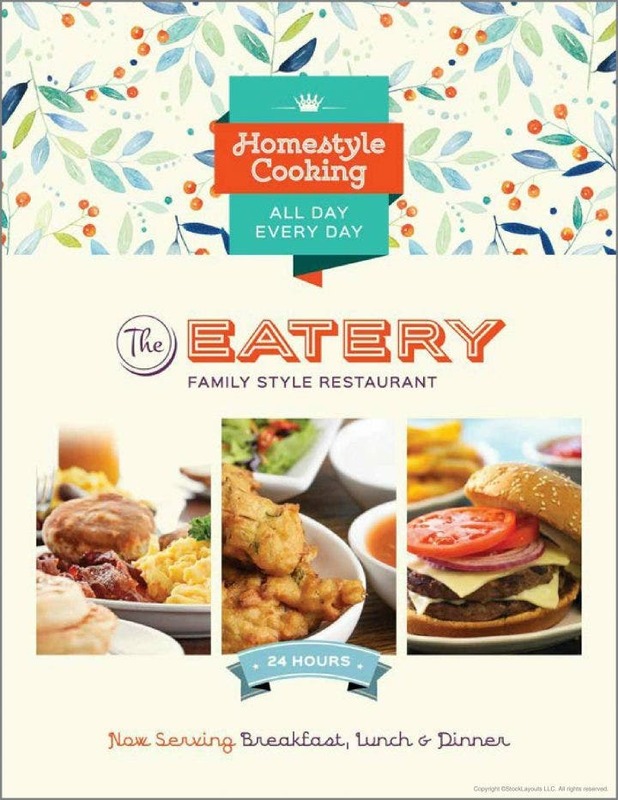 Use the font style that best fits your restaurant. Formal restaurants lean toward script type styles that feature formal, calligraphic, blackletter, and Lombardic written fonts. Casual restaurants, meanwhile, go for the sans serif or decorative type styles that feature square, humanistic, grunge, geometric, and even graffiti fonts. You wouldn’t want to use a graffiti-style at a formal, three Michelin star restaurant which only accepts reservation for celebrities and other high-profile diners. 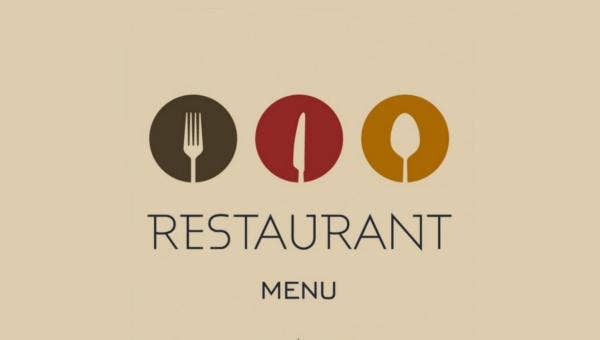 Use the appropriate font style for your restaurant and match it with the food you are serving. A calligraphic font is a great fit for you if you serve baked scallops, filet mignon, roasted lamb, and souffle. Additionally, grunge fonts fit a restaurant that sells pepperoni pizza and a three-layered hamburger with bacon, cheese, and sliced ham. 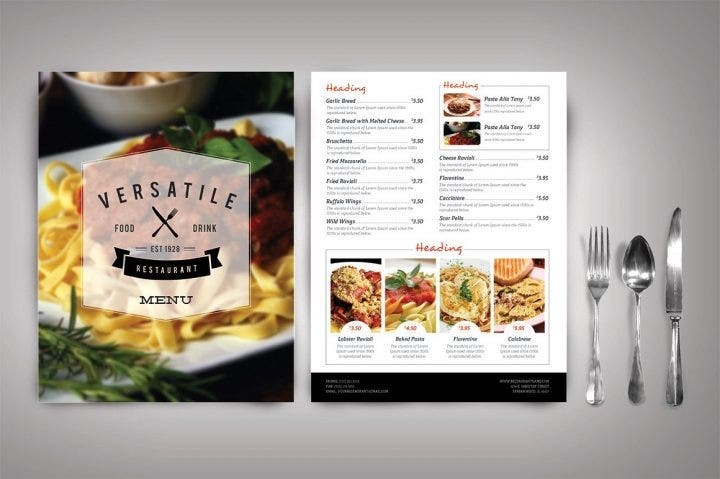 Add your restaurant designs to the menu designs. Another way of spicing up the menu design is to add the concepts used in the restaurant to the menu itself. Aside from the food, the best restaurants are known for their beautiful and stunning interiors. 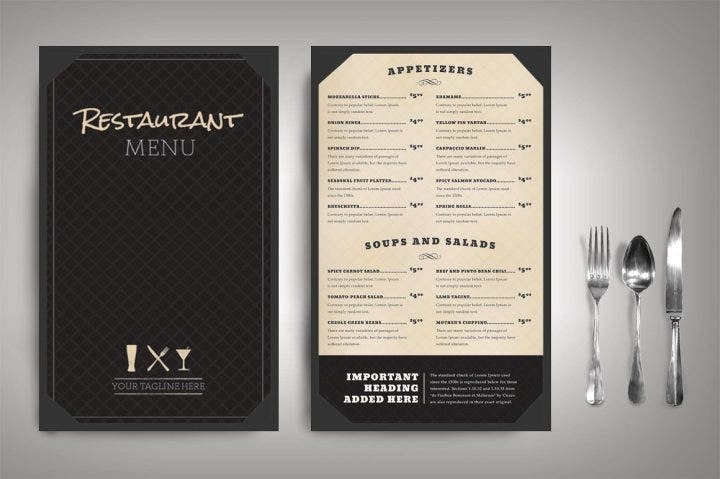 Either a casual or a formal restaurant usually has something unique to offer and customers should be made aware of it in the menu design. For example, add a silhouette photo of a dog or cat if your restaurant is known for having animal-shaped lamp shades or a number of photographed animals on the walls. Or, sketch some coconut trees if your restaurant serves up fresh seafood. Change up the menu designs to fit the seasons. Winter, spring, summer, and autumn; for the tropical countries, dry and wet season—use the different seasons to change up the designs of menus and also offer dishes that are best suited for that season. Use some white and blue for winter, green and brown for spring, orange and yellow for autumn, and red for summer. Using different colors throughout the seasons will keep your restaurant updated and your customers excited. This also offers the chance for the restaurant to serve something new and fresh. For example, highlight the ice cream and cold desserts for summer while advertising ramen and other noodle soups during winter. As in any business, selling a new concept or new product should be done regularly. Change up the menu designs to fit significant events. It’s not only the four seasons where menu designs can be switched up to signify the coming season. Use special events like Halloween, independence Day, Christmas, New Year, Easter, Valentines, and Thanksgiving to your advantage and switch the menu designs to fit each event. It may be costly, but it increases the restaurant’s exposure. It also adds to the fun and entertainment element of the restaurant. Switching the menu designs also mean adding some specialty items in the menu. Christmas calls for fruit cakes and cookies, Thanksgiving calls for turkey, Halloween calls for pumpkin pie, etc.